The Icon Airmada Rubatone Helmet is the natural evolution in Icon's helmet lineup. A middleweight that fights above its class, the Airmada has four shell sizes and 5 dual-density EPS liners sizes in the rider-preferred oval head form to provide a personalized fit like a well worn glove. The shield system has also been completely redesigned to give riders the best view of the road ahead. The new Rapid Release shield removal system allows you to change ICON Optics in a matter of seconds. Does everything you want and need it to do. If you’re on the fence about it you won’t be disappointed especially at such a great price. My only warning is just how snug it fits on the sides before the liner is properly broken in. The helmet feels good, it's a snug fit, but yet very comfortable!! Once I received the helmet after reading dozens of reviews, the helmet is TIGHT! If you measure properly, it will fit snug, however, putting the helmet on is difficult. I've worn many motorcycle, snowmobile helmets over the years and this one is just very tight to put on. So be aware that you may need to break in the padding or wash them once receiving the helmet. On the other hand, this helmet is rad! I've noticed that the majority of the riders on the road wear the Icon Airmada. It's a great helmet for any rider for any style. I love the Airmada look and its sporty design. The venting is endless and ensure's a ventilated head. Along with the design, I purchased the Dark Smoke shield to pair with the helmet. I don't like the clear and it makes for a menacing look. One of the reasons I actually purchased the helmet is because of the many options of shield colors and tints. Overall, in the couple of weeks I have been wearing the helmet it hasn't produced any major flaws and works how a helmet should. When I first tried the helmet on I thought it was too small, so I kept putting it on for a few days before I started riding with it. It fit better and better each time I wore it and now feels great and fits perfect. Looks good, good air flow. Overall I’m happy with it. I have the Icon Airmada Stacked helmet. I've been riding with it for a few years now. It's a stylish and comfortable helmet, but that's about all it has going for it. When I first bought it, my nose rubbed on the breath deflector. Luckily, I was able modify a breath deflector from my old Icon Airframe helmet to use with the Airmada. The helmet still fogs up anytime I'm sitting at a light (even with the visor open a crack). I have two visors (clear and light smoke) and both have tons of scratches on them and I only use water and microfiber cloth to clean them. The bottom of the helmet has a rubber strip that has fallen off from the cheap glue used and now things are annoyingly flapping loudly in my ear when I ride. I recently saw that the Sharp motorcycle testing website only gave the helmet a 2 out of 5 stars for safety also, so it's time for a new helmet, but it won't be another Airmada. I was in a 70 mph crash when a car swerved into me and sent me flying off on the freeway. The helmet held up really good I wasn't even concussed or suffered any head or face injury. The rest of my body was banged up but my head was completely unscathed. I definitely recommend Icon. The airmada is a solid choice the money. good airflow, good design and slick side profile. Vents are easy to use and offer good flow. padding is soft and removal for cleaning. visor is okay, wish it locked in a different way but not a big deal. Aftermarket visors for this helmet are pretty tasteful. visibility side to side is good and wide, in full tuck I feel like this is not were this helmet likes to be because the top of the visor at full tuck is too low for me. this helmet likes to be in the 3/4 tuck. my only complaint is that this helmet is slightly loud at speed. This is a great mid-range helmet! I've worn mine all over the place including in the woods. It's not much to look at and tends to get pretty scratched up, but it is comfortable and has awesome airflow. Awesome bang for the buck! Looked cool and had good reviews for the price. Great helmet. It's kinda hard getting on but once it's on it feels great. Good reviews, I have Icon boots and they are perfect. I think a great company. Great helmet. Snug fit, long oval, very comfortable. Lots of airflow, but a little noisy. Overall a great helmet, very satisfied. I chose this product because of the good reviews, forum recommendations, and price point. I also dig the styling and protection certifications. Great helmet for the price. I have ridden in this almost daily for 1.5 years and it has held up tremendously. I purchased a gold face shield, which looks amazing. This helmet has served me flawlessly and for the price is a hard value to beat. Love this lid. Great helmet, excellent price, long oval, great looking.. what else can you ask for? I chose this one because it's a step above my Alliance model Icon helmet, and the price is great! Thanks Revzilla! Based on the reviews in Revzilla. Lots of good reviews. Youtube guys, Harley dealer guy etc. I tried a lot of helmets, this is the best fitting for me. I've always heard good things about ICON helmets. I'm a new rider and after researching quite a few helmets (quality and price) and getting feedback from other riders, I decided to go with this one. The medium size fit perfectly except for the padding on the cheeks. Due to my chipmunk cheeks, it was was tighter on my face than I thought it would be. Ordered the 3XL cheek padding and now it fits perfectly and feels amazing! Long oval helmet options are pretty limited and this one comes with great reviews and a reasonable price tag. It was recommended as a staple product by the site and comes highly recommended from other customers. It is my first helmet so I'm looking forward to it! 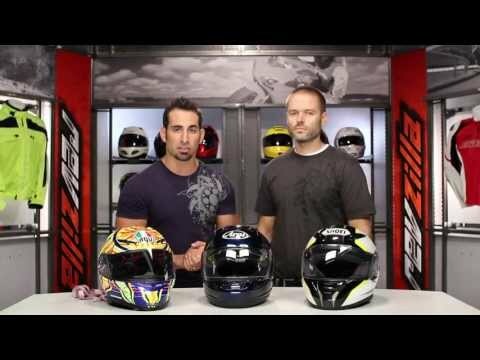 Will be taking MSF classes in the next couple of weeks, and this seems to be bang for the buck and reliable helmet in the market in my eyes. But, I would like to get some more information on better/recommended non-pricey gears. Read the reviews and watched the video. I like the look and it seems like it is what I am looking for. great features for a budget helmet. good reviews. Great price for a great fitting helmet. This is my first helmet and it appears that Icon is a trusted and reliable brand that should do a good job protecting me. Also, many of the reviews made me comfortable with this purchase. Helmet is so comfortable and great fit! good look! sleek and comfortable fit!!!! Best reviews overall. Need a fifth helmet that put my other four to shame. I chose this because airflow is a main concern since I will be riding primarily during the summer. Wind noise seemed to be a popular issue with the helmet but I plan to wear some hearing protection so that wasn't a huge concern. It looks pretty nice as well. I was looking for a quality Full Face Helmet on a budget. Love the muted rubberized look of the helmet. Great protection for the price range along with some great reviews. I love the look and fit of it, and I like how easy it is to replace the liner and also the ability to customize the exterior of the helmet. It appears to be exceptional quality in this price bracket. I am torn between this and the AGV K3 SV helmet. Which would you recommend for a sport bike rider who rides on the street more than at a track? I do a lot of riding both in town with traffic at slower speeds and on longer faster highway rides. My main concerns are keeping cool in the summer so my makeup doesn't melt off, minimal whistling/ excess noise inside the helmet, and stability (no wobbling at highway speed). Thank you for any advice to help me make my final choice! How much does the large airmada weigh? BEST ANSWER: The Large Icon Airmada helmet weighs 3.796 lbs or 1722 grams. I live in San Diego so a helmet with good airflow is key. I also want a really safe helmet like this. Is this a good style helmet for a bike like the Moto Guzzi V7? Guys look cool with 3/4 helmets like the Bell 500 but I know that's not safe or practical. I don't want to look like a super bike racer on a retro cruiser. Thanks. BEST ANSWER: First off, I love this helmet. The air flow is great at low speeds 35-45mph. It does have a snug fit which I like I do feel safe with it on. I have worn it in 50 to 95 degree weather and didn't mind having it on. I also bought the dark smoke visor it really compliments the rubitone color and makes it look even more stealthy. It is relatively quite even at speed and again really comfortable to wear. It is easy to remove the cheek pads and liner with just a couple snaps for cleaning. I would recommend this helmet to anyone. I have the matte black rubatone armada, it flows tonnes of air. it doesn't look like you should be ripping around Laguna Seca either, it's not shouty like a lot of sporty helmets. it's super comfy, just be careful when you change the lenses, the little side covers' tabs that hold them to the lens are really small and break so easily. overall, I definitely recommend it! I like sport bike helmets on retro bikes. With one like this without graphics I think it will look really nice. I have this helmet and it's ventilation suits me fine in the hot summers of the east bay. when it comes to air flow you cant go wrong with the airmada it flows a ton of air. I think the styling is not too super bike looking especially with the rubatone finish. This helmet fits true to size, and is very comfortable. I live in Phoenix and it flows really good air. Sometimes too much because there is no chin curtain so the air comes up the front of your face and can be annoying on the eyes sometimes but does prevent fog when it's humid and cold.. It's not to racer looking so it would look good on a retro cruiser especially with a smoke shield.. Hope this helps.. I purchased both a Large and Medium Airmada "Miscreant" due to lack of options to try one on where I live. According to the fit size based on my hat size I am a medium as I do not have a large head at all. The medium is very tight on my cheeks but the large I can shake my head and it moves around and it does not seem tight enough. I am not sure which one I need? This is my first helmet so looking for some good advice, thank you. BEST ANSWER: To answer as best as possible- what size shape is your head? I returned it since it's for a longer shape. I ordered small it's was too narrow on all the points. Couldn't fit my noggin in it. I went w a different brand. I wouldn't consider a bigger size Helmet if I'm a small. AGV fit excellent. Also HJC small is a great fit for my shaped head. Revzilla has some great descriptions. All depends on the helmet but I wouldn't try bigger. . Good luck. Unless it's literally giving you a headache to wear, Go with the medium. You should never be able to move a helmet when it's on your head. It should pinch at your cheeks when you talk or chew gum. It'll break in as you wear it and loosen up a little, but never to the point where you can grab it and turn it while it's on your head. You don't want that thing to be moving around on your head - it'll move around in a crash and not provide the protection that you need it to provide. Get the medium helmet and buy the large size cheekpads, which are easily replaceable. The cheek pads should be pretty tight, but you can just buy the cheek pads a size up and swap them out if you want, 30 bucks on this site- should do the trick. Don't wear the large if it moves. I have tried on the both the small and medium. The small fits my head better in terms of being snug but it leaves my chin somewhat exposed like its to short for my face. The medium is snug just not as snug as the small however it fully covers my face. I have around a 21 3/4" diameter head measurement. Should I just go with small or the medium? BEST ANSWER: Small can would work the best. The helmet actually stretches out eventually. Almost all helmets are tight at first. As for the chin being exposed, try tilting the helmet more forward in a more aggressive position. This helmet definitely fits aggressive. And if all else fails, I suggest you go one up to a medium after that. I seem to have this issue with other brands as well. Haven't tried a shoei though. It just seems my face is to long for a small helmet. I guess I have a tall skinny head. Thanks for info. Does icon make a smaller insert for the medium? I think she may have addressed this in her comment. Athough the icon airmada helmet looks wonderful and offers that track day feel with a snug fit, I would recommend the Alliance helmet over the airmada as it may offer you a little more protection in the chin but has the same fit around your head. Or you could go a hundred dollars more, get a lighter helmet with a Snell rating and go with a Shoei. I also find airmada is very difficult to take off and hurts my ears to put ear buds in. The alliance has slightly softer pads. 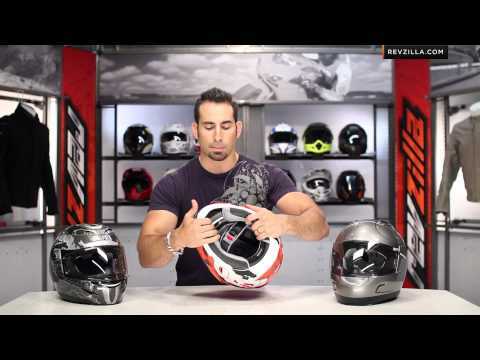 Hey revzilla, I just watched the review on the Icon Airmada Rubatone. It seems to be the one for me. My question: If I only wear the clear shield (because I wear my sunglasses often), will they fit when I have the helmet on, or will the helmet be too snug for them? They are Costas, by the way. Thanks. BEST ANSWER: I wear glasses 100% of the time while wearing this helmet. Both my regular glasses and sunglasses. They fit just fine. It is a pretty snug fit. I would consider getting a spare shield with the parts it's really easy to swap them out. I haven't had a problem with having the helmet on and just open the visor to put glasses on. I would say no , probably not . The helmet fits snug to the head . I've tried several different pairs of my sunglasses and none sit right with the helmet on. How does the fit of the Icon Airframe and Airmada compare to the Bell RS-1? BEST ANSWER: Coming from the airmada, I just recently bought an RS-1. With that said the airmada and RS-1 have a slightly similar fit except the airmada is a tad narrower. Definitely a tighter fit than an RS-1 though. I don't know. I have never tried the RS-1. Sorry I can't help. I love the fit. snug and very good airflow all around your head. i haven't worn the RS-1 to compare though. sorry. BEST ANSWER: The Icon Airmada is close to perfect for my long oval head. I've previously worn a Nolan, which I think was shaped on a basketball, and a Bell Arrow, which was better but still developed hot spots on my Neanderthal brow and left worrying gaps on the sides of my skull. If you're an oval and can get the Icon on (it really is race-fit tight around the opening), you should be good. If your dome is rounder, look elsewhere. All I can tell you is it the fit runs very small. I usually wear a Small but I had to buy a medium and then purchase the Small padding and the helmet is still the snuggest fit I've known in 40 years of riding. I think Icon refers to it somewhere as being a 'Track' or 'Racing' fit. Mayber Icon and Revzilla need to do a better job of describing just how small this helmet line runs. Gone are the days of trying things on in a store so 'buyer beware'. The good thing is that Revzilla's return policy is easy. Daniel. You were able to get the padding for the small helmet to fit into the medium? looking on the size chart your father falls right between Med and Large. I have Oval head shape measuring 59cm and large size is slightly looser compare to many other helmets around cheeks. But it doesn't wobble or move. So your father should be fine with large size. Also this helmet could be custom fitted for almost any head buy replacing inner liner parts. Hello. I typically wear an XL in a normal Bell full face helmet. I'd really like to buy this Icon Airmada, but I'm not sure what size I should try. Does it fix a bit small? Also, does this only come with the one clear face shield? BEST ANSWER: This helmet definitely runs small. I would def go with a XXL. It comes with a clear mask. I have a large, long head and had trouble finding a helmet that doesnt give me hot spots. I wear an XL in HJC (motocross helmet) and I went with a XXXL for this airmada after purchasing and returning the XXL. I purchased the dark smoke aftermarket lens and it looks awesome. The dark smoke is dark enough that it gives the helmet a dark "tinted" look, however it can still be used around dusk with no issues. Plus there is a quick release that you can swap out the lenses easily (once you figure out the mechanism, its a bit tricky). Fit is little narrower than most bell helmets when new. But cheek pads brake in nicely, so i would by same size helmet. Should be fine after about week or so. Helmet comes with only clear face shield. Does this helmet come with a dark shield in the box? BEST ANSWER: It does not. It comes with a clear shield. Icon tinted shields can be purchased separately and range from $25-$50 depending on what site you get them from. I remember having to order it separately, but Revzilla packed them together. Soooo, sort of?